Description: The Teleweld Series I CWR Rail Heater Car was built by Teleweld in 1969 and has been in use by leading railroad companies ever since. The Series I uses propane fueled, air inspirated rail heating crucibles which offer exceptionally high indicated efficiency factors. Approximately 75% of the available B.T.U. 's in the propane are converted to heat in the crucible. The flame is confined to the sides of the rail which minimizes the possibility of igniting ties and other flammable material adjacent to the road bed. Description: The Teleweld Series II CWR Heater Car is specifically designed for contractor applications, or when extended use is not indicated. The Series II uses locally available 100# capacity propane tanks. This versatile, light weight unit is highly portable, and has been designed for use when quantities of rail per day is not a prerequisite. Ideal for temperature correction when replacing curved rail sections, or when laying CWR. An optional self propelled feature is available. Description: For those situations where safety considerations or fuel availability render the use of propane undesireable for heating continuous welded rail (CWR), Telweld can now provide an alternative. The Series ID CWR Heater Car features clean and efficient burners using pressure injected, #2 diesel fuel and blower impelled, combustion air. 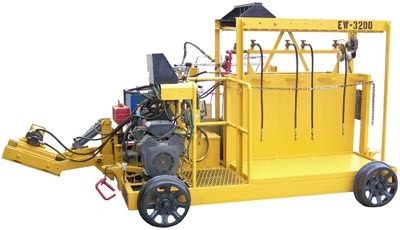 A short flame projection, and side sheilds that confine the heat output close to the rail, maximize the transfer of heat to the rail while minimizing the possibility of igniting ties or other flammable materials in the road bed. Description: The Teleweld Single End Heater can be used wherever fast, economical heating of rail (engine burns), frogs, crossing or switch points is desired. It can also be used on new engine burns before hardening and spalling take place, to draw the hardened metal down to a safe limit and eliminate the necessity for later welding. 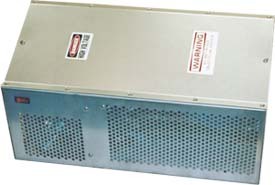 The Single End Heater will heat the head of the rail to 700°-800°F in approximately 3 minutes and to 1100°-1200°F in approximately 6 minutes. Fuel consumption for the Teleweld heaters is approximately 4 pounds of LPG per hour burner at full heat. Description: The Teleweld Double End Heater will provide the proper pre and post heats to achieve an optimum hardness pattern when building up battered, chipped, or fractured rail ends. Description: A specially built, totally enclosed electric motor provides the Teleweld Surface Grinder with high speed grinding necessary to keep up with top-notch rail end or CWR joint rebuilding crews. It is also especially well suited for grinding rebuilt Frogs, Switch Points and Crossings. A double extension shaft eliminates the need for turning the grinder to work on the opposite rail. Heavy duty construction of the frame and all components assure years of trouble free operation under the roughest track work conditions while permitting grinding to precise tolerance with less operator effort. Description: The Ballast Car is designed to be used to transport normal sized crushed limestone to work sites and distribute it on either side of both rails. • Brakes - TMB-60 truck mounted air brakes. • Couplers - The Ballast Car is equipped with a standard AAR coupler with train air. • Gate Valves - The Ballast Car is equipped with four miner gate valves. The gates are opperated using pneumatic cylinders controlled by a remote transmitter. • Hoppers - The hopper section of the car is fabricated from ASTM A-572 grade 50, type 2 steel mated to side sheets of the same material. 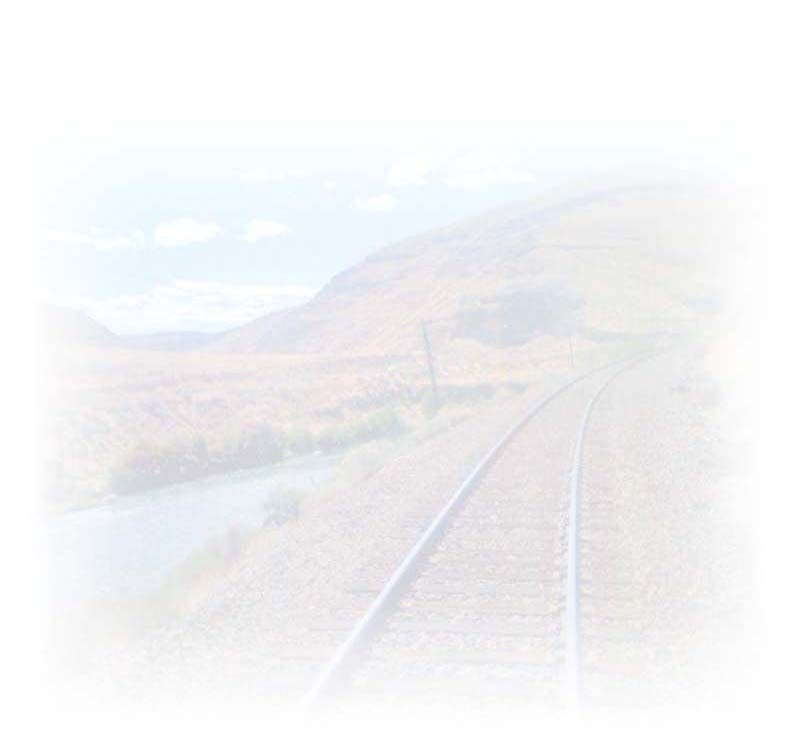 • Trucks - The trucks are 50 ton capacity standard AAR freight car trucks utilizing bolsters and side frames. • Under-Frame - The under-frame is a welded fabrication of structural plates tied to a Cor-Ten center sill. Description: Teleweld, inc. through it's Railway Utility Company Division has been a leading manufacturer of destination signs for the mass transit industry for over 50 years. From the most basic open frame, hand crank signs to the latest fully automated systems, Teleweld has the ability to design and fabricate whatever is required. 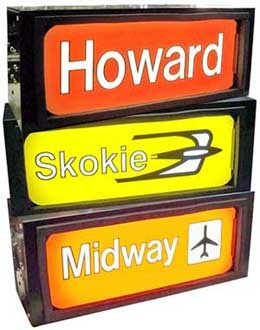 Years of experience in working with transit authorities and vehicle builders to satisfy hardware, display, control, and interface requirements joined with complete facilities for machining, metal fabrication, silk screen and printed circuit board assembly qualify Teleweld as your best source for transit signs. Description: Teleweld has supplied car manufacturers and rebuilders with Car Heaters, Cab Heater/Defrosters, Circuit Breaker Panels, Pantograph Gates, Electro-mechanical devices, and miscellaneous custom fabricated sheet metal products for over 50 years. 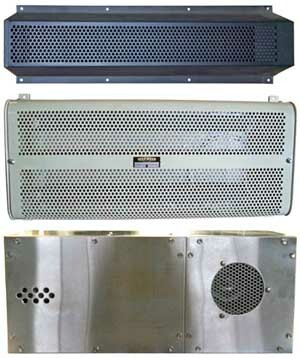 Description: The Telebrineller system is a major achievement in quality assurance. Developed for use by it's own welding crews in the field, Teleweld has based this system on proven metallurgical knowledge supported by more than fifty years of field experience. 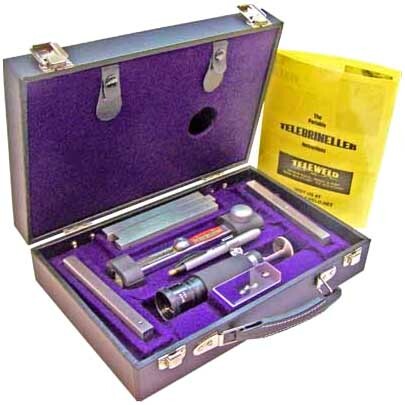 • Lightweight - The complete Telebrineller system, in it's case, weighs less than ten pounds. Easily transported to any location, it is highly practical for all Brinell hardness testing needs. • Simple - One hammer blow, measurement of the resulting impressions, and the manipulation of a basic equation on the computer provided, that's all. No special training required. In a few minutes, anyone can learn to determine BHN accurately. • Certified Accuracy - The test bars which are the core of this system are calibrated to a uniform hardness of 3% of the labeled BHN. Hardness of the bars is measured by equipment whos accuracy is certified traceable to the National Standards Institute. • Weatherproof - Designed for field use; there are no delicate adjustments or fragile components to be concerned with. All parts are rugged, solid, able to deliver accurate measurements in all weather, under the roughest field conditions. Description: The Halteman Filletester is designed for the Brinell Hardness testing of fillet welds and other hard to reach areas. 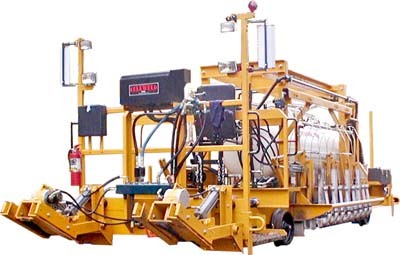 The Filletester is used in conjunction with the Telebrineller kit manufactured by Teleweld. For easier handling, it is recommended that the sandard Telebrineller test bars be cut in half. Impressions can be measured by using the 5/8" diameter end of the microscope nose piece.